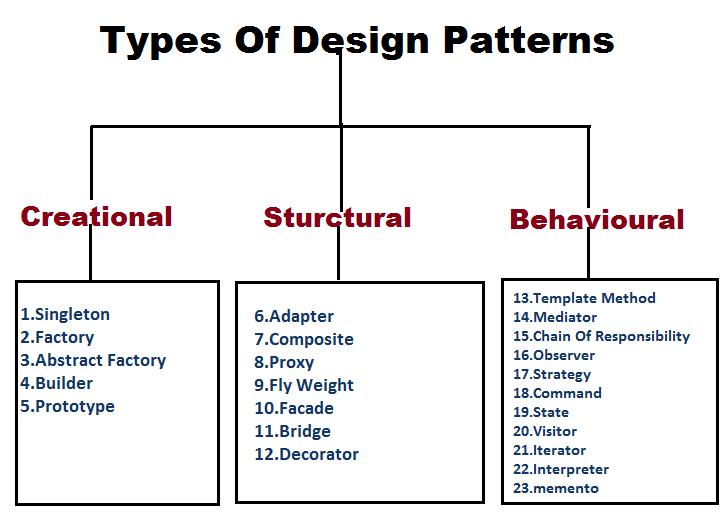 What is Desigen Pattern ? A design pattern is a well-proved solution for solving the specific problem/task. We must use the design patterns during the analysis and requirement phase of SDLC(Software Development Life Cycle). Design patterns ease the analysis and requirement phase of SDLC by providing information based on prior hands-on experiences. 1. Core java (or JSE) Design Patterns. 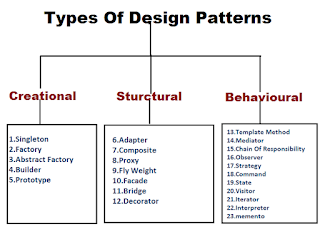 What is Singleton Design Pattern . also write the code? and provides a global point of access to it". A class must ensure that only single instance should be created and single object can be used by all other classes. Saves memory because object is not created at each request. Only single instance is reused again and again. This has advantages in memory management, and for Java, in garbage collection. Moreover, restricting the number of instances may be necessary or desirable for technological or business reasons--for example, we may only want a single instance of a pool of database connections. Singleton pattern is mostly used in multi-threaded and database applications. It is used in logging, caching, thread pools, configuration settings etc. To create the singleton class, we need to have static member of class, private constructor and static factory method. 1-Static member: It gets memory only once because of static, itcontains the instance of the Singleton class. 2-Private constructor: It will prevent to instantiate the Singleton class from outside the class. 3-Static factory method: This provides the global point of access to the Singleton object and returns the instance to the caller. If you have any concern and any query , leave us comment ! !